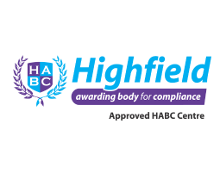 It is a legal requirement that every employer appoints a ‘competent person’ to assist with health and safety matters. Where this competence is not available from the employer or their employees, this assistance should be sought from an external source or position. SHE Management provides a service whereby a company or individual can appoint us as their competent person. For an annual fee, we provide unlimited advice by telephone or email and regular health and safety updates. We wish to apply for membership with SHE Management (UK) Ltd until 31st Jan 2020. Payment is £250.00 (+ VAT) from 31st Jan annually. Payment for members is calculated at £20.84 (+ VAT) per month from membership application until the following 31st Jan.
How many months (including this one) are left in the year to and including Jan 2020?